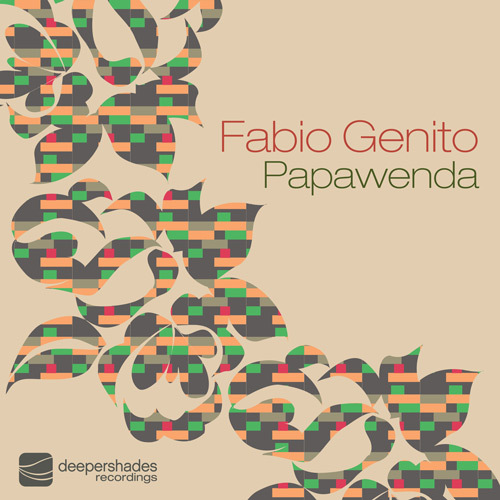 Deeper Shades Recordings fourth release “Papawenda” introduces yet another very talented artist to the family - Fabio Genito from Italy. Fabio has recently received worldwide recognition for his debut release on Vega Records. FG Main Mix – A spiritual, percussion driven piece with a chord progression that opens your heart and soul. The deep and warm bass complements the direction of this heavily atmospheric and dynamic production. FG Organic Dub – The dub is stripped down and driving while keeping the integrity of the FG Main Mix. Its deep structure is created around the room filling bass and keeps everything moving forward. The package is completed by two drum tool mixes which should be part of every DJs repertoire. The song is a dedication to the pureness of nature, a dedication to a mothers feeling when she conceives ... to the joy of birth .... an ancestral rhythm reminiscent of a beating heart ....because we all are coming from the heartbeat.... Papawenda...."
Louie Vega : very nice ! Playin it a lot..
Louie "Lou" Gorbea : Another Masterpiece from my soul brutha Fabio....a track well constracted giving you afro-jazzy vibes and a outragous vocal riding throughout the track.....I rate this track on a 1 to 10 scale a 10 !!!! DJ Spinna : this is serious sh!t. Mad Mats (Raw Fusion) : Love this, deep rhythmic and bumpy house for the dark rooms! Both original and dub is doin' it 4 me! Trinidadiandeep (Prescription Records) : Man i will beat this S...t ..hard. So Great produciton, amazing musical package. Antonio Ocasio : dope mi hermano. Glenn Underground : this is mad !! DJ Rork : I like the atmosphere ! it's my kinda jam.. :p The Main and the Organic Dub are good.. I prefer the Main... I play & chart dis ! Kiko Navarro : i like it !! Especially the dub...lovely !! Rafael Moraes (Nomumbah) : Congrats to you and Fabio Genito for this Deep Afro Groovy jam ... Plus a great Dub going to the more techy side... Great package, to be played on my radio shows and also at the dancefloor! DSOH is doing a serious and solid job! Jimpster : Really strong track in both original and remix form. Will be playing. Marques Wyatt : I likes, Lars. About to burn a cd. Tell K she rocked the artwork 4 sho. Rocco : Excellent !! I love the dub. Franco De Mulero (El Divino/Ibiza) : UNREALLLLLL ! LOVE IT, PLAYING LOTS… MASSIVE SUPPORT !!!! Boddhi Satva : Yo man this one is dope !! I'm down for it. Luis Baro (XM Radio - The Move) : great brother !! just great !!!! Murray Richardson : like the sound of the original mix on this,,,hype charting this week! Henri Kohn (Clubstar / Soulstar / Conya) : solid stuff. main mix for me. in my top10 and sets. Mark Mendoza (Phuture Sole) : dope track Fabio. Ben Johnson (Syam Music) : very nice Fabio. Quarion (DrumPoet) : The Dub version rocks! Full support. Michael Reinboth (Compost) : Very good ! I Like it. Atjazz (Mantis Rec.) : The best new label around, this one no.4 is soooo deep, this will be with me for time!